The HAXPEEM instrument is an energy-filtering photoemission microscope for laterally resolved hard x-ray photoemission spectroscopy with resolution in the range of 500nm (spatial) and 400meV (energy). Electrons photoemitted by hard x-rays gain high kinetic energies leading to long inelastic mean free paths inside solids, which in turn enables (non-destructive) spectroscopic access to regions up to several nm beneath the surface. Samples must be UHV-compatible and stable under illumination by hard x-rays (3-10keV photon energy). Favored sample size is 10mm x 10mm x 1mm. Samples must be conductive and flat. Structures of interest should be between 1µm and 50µm in size. 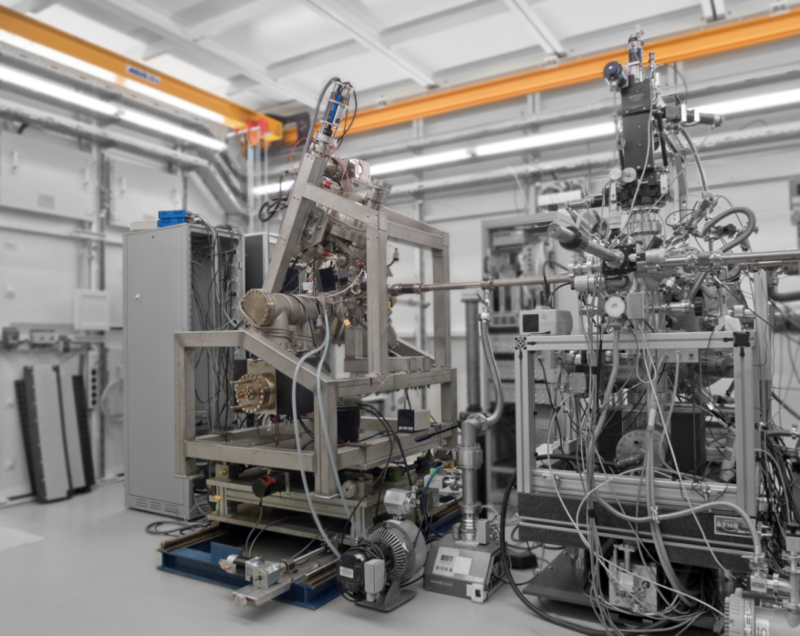 Access to hard x-rays is dependent on regular beamtime proposal at PETRA III synchrotron facility (Hamburg).